Use this eTool to create a combination boxplot and histogram for the data. Use a bin width of 6 pounds. 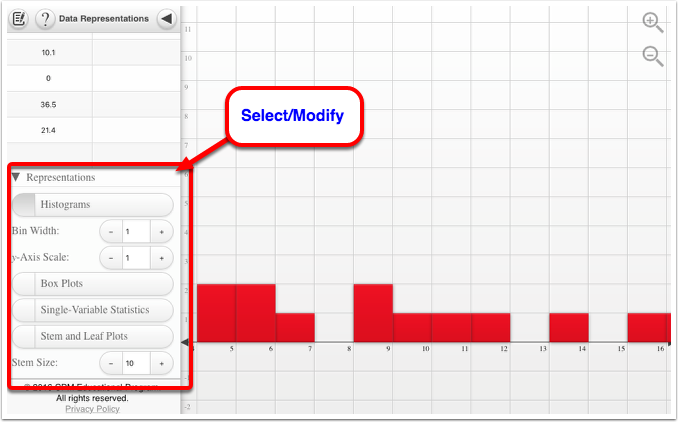 Select the data representation/s to be used and modify the settings.